'Distasteful', 'cruel' and 'distressing'... welcome to Christmas with the ASA. 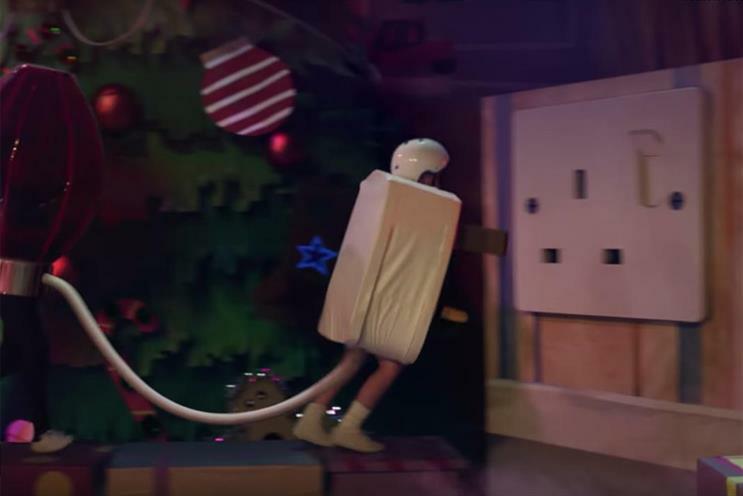 It happens every year – as much as brands want their festive ads to make the nation feel gooey and warm, some people will cry "humbug" and pick up the phone to the Advertising Standards Authority. This year, it was a child dressed as an electrical plug jumping into a mock power socket in Sainsbury’s school Christmas performance. The ASA has received 35 complaints that this might encourage children to fry themselves in real life (it is currently deliberating on its verdict). This is small beer by recent standards, however, and doesn’t feature anywhere near the top five most complained-about ads of this decade. The backlash: 234 complaints that a TV ad encouraged children to feed Christmas pudding to dogs, despite ingredients being highly poisonous to them. Why: The ASA said the voiceover emphasised that "Not everyone loves traditional Christmas pud" and "it was clear that, in feeding the dog, the boy was doing something he was not supposed to, and it was also clear that the dog had rejected the pudding". In addition, because the ad featured foods high in fat, salt and sugar, it had been given an "ex-kids" restriction and wasn’t broadcast in or around children's programmes. The backlash: 316 complaints that the ad, which featured a dog in a kennel outside in the snow, endorsed animal cruelty because it implied that it is acceptable to leave pets outdoors in very cold conditions. Why: The ASA did not consider the ad to be "endorsing or encouraging animal cruelty or neglect or irresponsible pet ownership". The backlash: 456 complaints that the spot implied Santa Claus did not exist because children were singing about presents bought by their mums. Why: The ASA decided that as "the ad did not make reference to Father Christmas or suggest Father Christmas did not exist", it was therefore "unlikely to cause distress to children". The backlash: 464 complaints that the ad implied Santa Claus did not exist, since the little boys were worried that they weren’t getting any presents because they saw no sign that their parents had been out shopping. Verdict: Cleared, although PayPal independently restricted the ad’s scheduing in response to the complaints. Why: The ASA decided that because "the ad did not make reference to Father Christmas or suggest Father Christmas did not exist", it was "unlikely to cause distress to children". The backlash: 823 complaints that it was "distasteful" for the supermarket to exploit an event from the First World War for commercial gain. Why: While acknowledging that some found the spot to be in poor taste, the ASA did not judge it to be offensive and in breach of the advertising code. Perhaps imbued with the spirit of the season, the ASA has historically found little to quibble with in the vast majority of festive marketing. One notable exception came last Christmas, when Poundland attracted 85 complaints that its lewd social media marketing posts featuring a toy elf were offensive and unsuitable to be displayed in an untargeted medium where children could see them. In February 2018, the ASA banned the risqué campaign, ruling that its "depiction of a child’s toy in relation to such sexual references and acts in a medium which could also be accessed by children was irresponsible and likely to cause serious or widespread offence". This Christmas, Poundland brought back the controversial elf, but with added age restrictions to prevent minors from seeing it.